Korea's thrills are not only located in one city, they're everywhere! 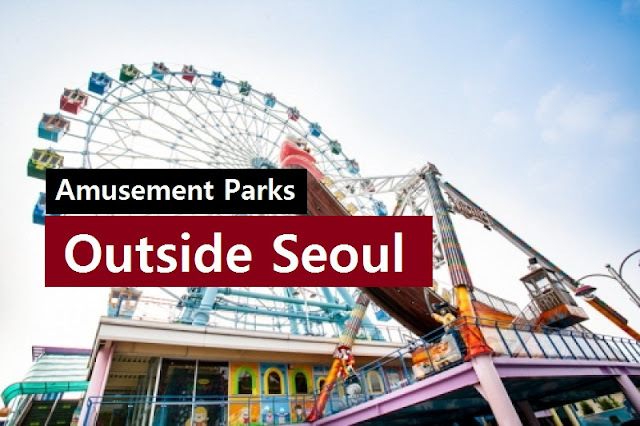 Here's a list of amusement parks outside Seoul. 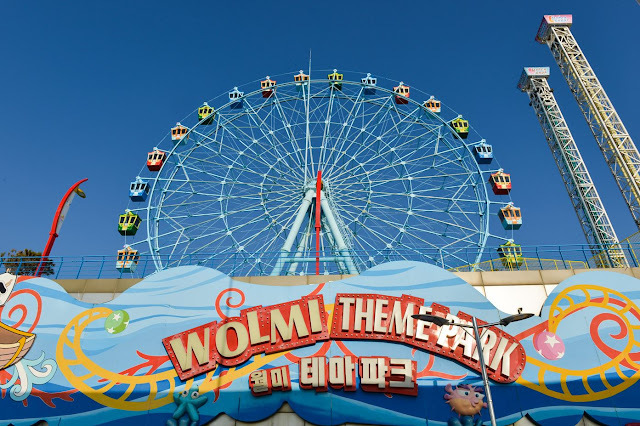 Wolmi Theme Park is located in Wolmido Island in Incheon, a few kilometers from Seoul, South Korea. Wolmi Theme Park was introduced to the public for the first time in September 1992 as My Land. It was remodeled and reopened in 2009 as Wolmi Theme Park. 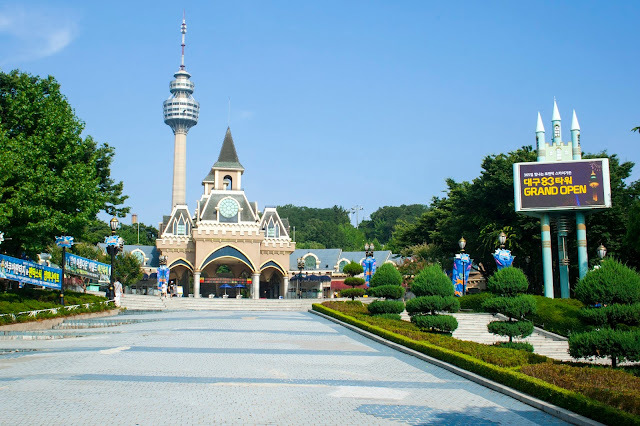 This theme park became famous due to many variety shows like "We Got Married", "Two Days and One Night" and "Running Man". Wolmi Theme Park features various thrilling rides such as the Hyper Shoot Drop, Tagada Disco and the Viking Ship. They also have an indoor area made especially for the kids which features a mini flume ride, water boats, and water ball playing, as well as a 4D room. *Admission only tickets are not available. You can enter for free. Gyeongju World Amusement Park is tagged as the largest theme park in Southeast Korea. Visitors can get their dose of thrill from the park's rollercoasters - Phyton, Mega Drop, Tornado and Grand Canyon. If that's not enough, you can try the King Viking and Submarine Splash. They also have seasonal attractions like California Beach on Summers, and their large ice sledding site. There are also restaurants inside the park for those who aren't fond of adrenaline rush. Dramas like "The King 2 Hearts" and "Very Ordinary Couple" were filmed in this theme park. 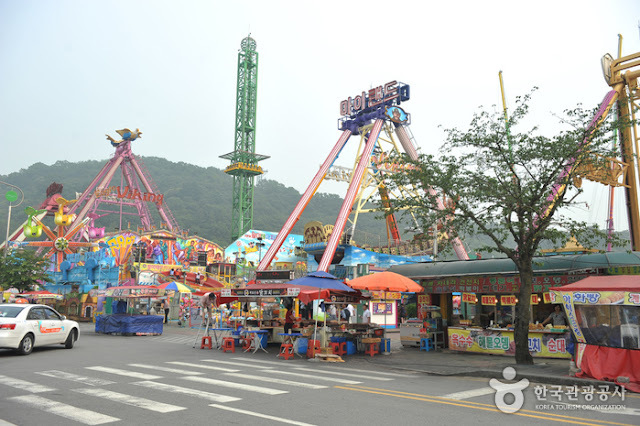 Variety shows like "Running Man" and "We Got Married" also played games at the Gyeongju World Amusement Park. 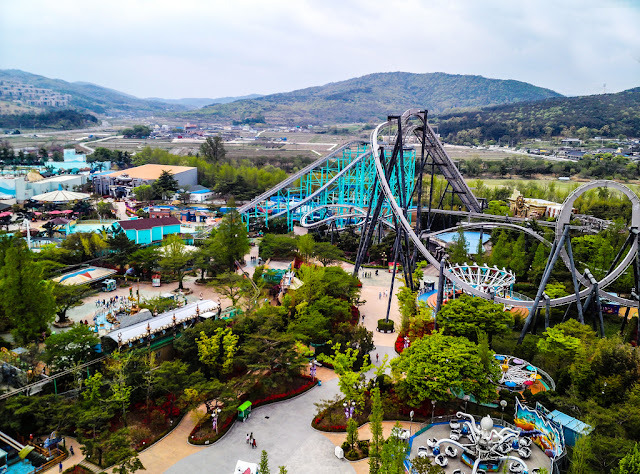 A European-style theme park situated near Woobang Tower, E-World invites everyone to try their thrilling attractions in the eco-friendly city, Daegu. E-World is Daegu's main representative in the amusement park gaming in Korea. 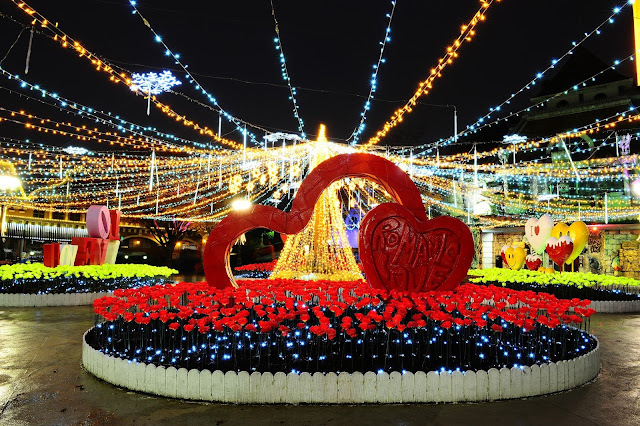 It features a man-made waterfall, fountain and tons of displays that are never out of season. Thrill seekers should definitely try E-World's ever popular rides - Boomerang and Tambourine. Recently added attraction, the 360 ride Megaswing, is also a blockbuster ride that will surely get your adrenaline levels rising for hours. Watch out for the next part of our theme park series as we go to Jeju Island for its own interesting set of amusement parks.